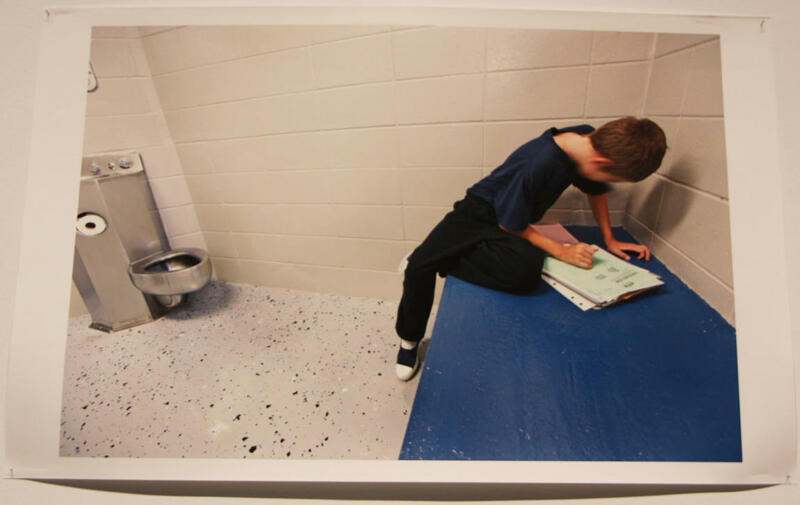 There are about 70,000 young people in juvenile detention centers or correctional faculties in the United States. 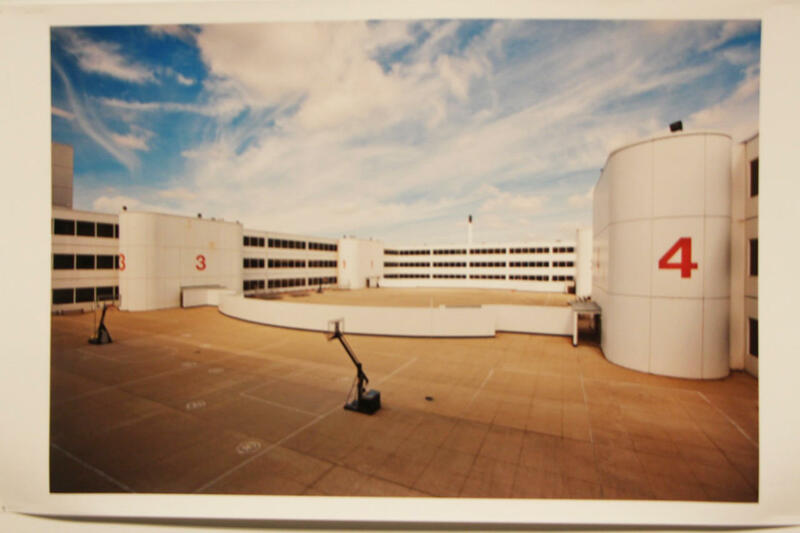 Richard Ross spent the past seven years documenting the lives of American juveniles who have been housed in these facilities that treat, confine, punish, assist, and, occasionally, harm them. 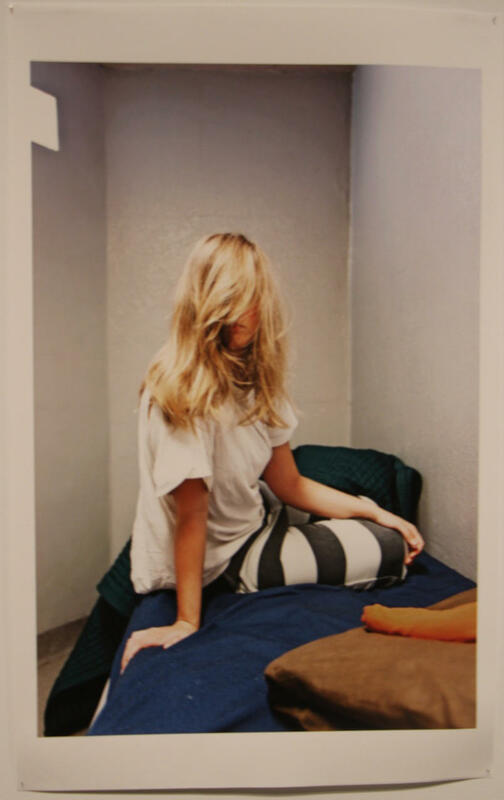 The culmination of this work is a project titled Juvenile in Justice at the Ulrich Museum of Art at Wichita State University. The exhibit includes 60 large scale images, including some from four counties in Kansas. 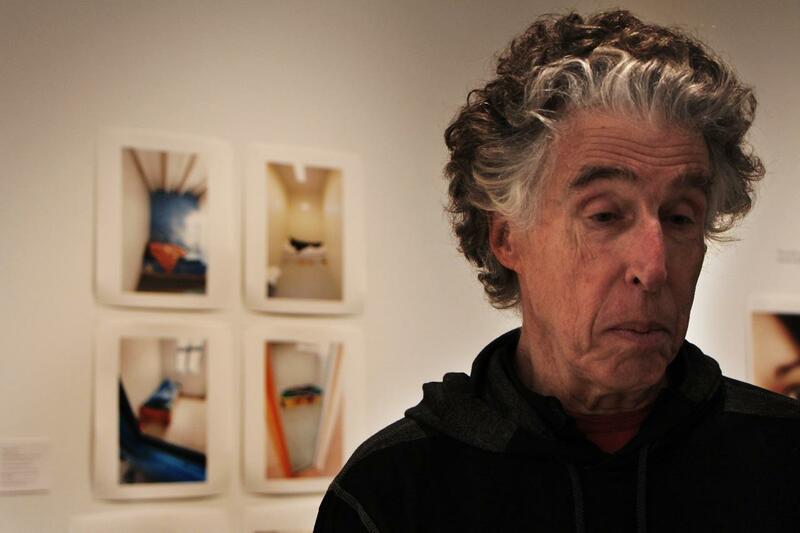 Aileen LeBlanc talked to Ross about his work. "I was in Rosemead, California," Ross says. "I asked the director what percentage of girls in custody had been sexually abused and he looked at me like I was crazy. He said every one of them." 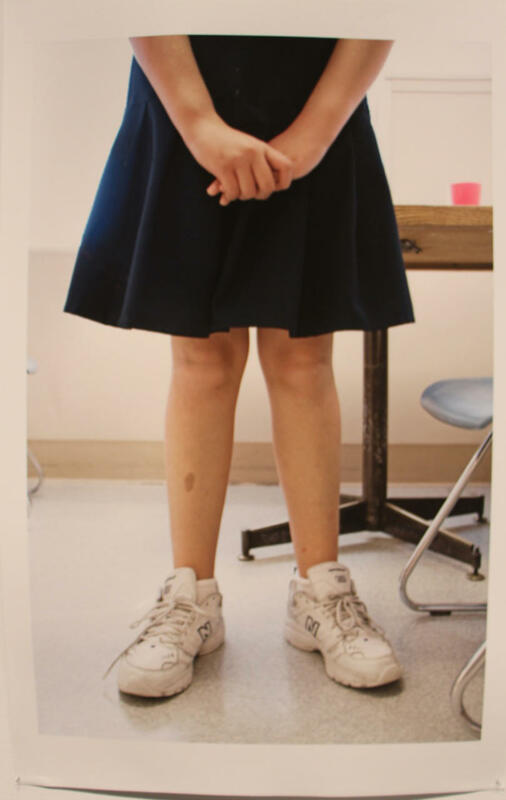 A young girl at an all-girls level-12 institution in Rosemead, California. "I went to school next door to this place for eight months. When I went back to regular school I got in a fight in three days. A kid was calling my mom bad names. I punched him and left school and started beating up a car. Cops came for me and I wouldn't put on my seat belt when they put me in their car. So that was another violation. I told them I didn't want to come back here...but here I am. I've been here a week and have a week to go. I'm "sanctioned" for two weeks." - N.R., Douglas County Juvenile Detention, Lawrence, Kan.
Each floor is one mile around. The basketball court gives a sense of scale. Cook County Detention Center in Chicago, Ill.
"The skills they learn are how to say 'sir, yes sir,'" Ross says. "It’s a world that teaches kids how to be accountable to a very clear and mapped authority." "When I started, I realized kids as young as seven can be taken into custody... into institutions like this. I felt nobody was paying attention to this and nobody knew this existed," Ross says. 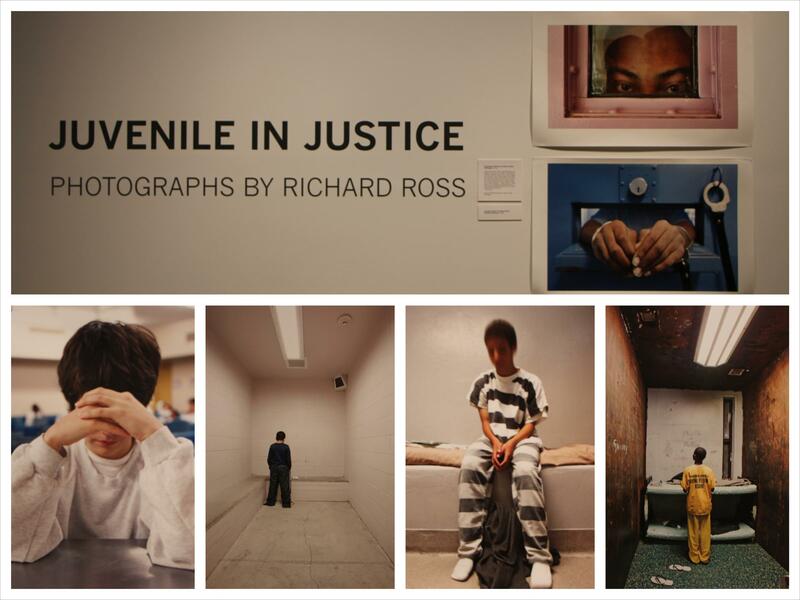 Richard Ross spent the past seven years documenting the lives of American juveniles who have been housed in correction facilities.
" I got kicked out of school for partying and truancy. I use meth. They have had me here for two weeks. I think they keep me here because they think I am a risk of hurting myself. When they come in, they come in, they don't knock or anything." - C.T. 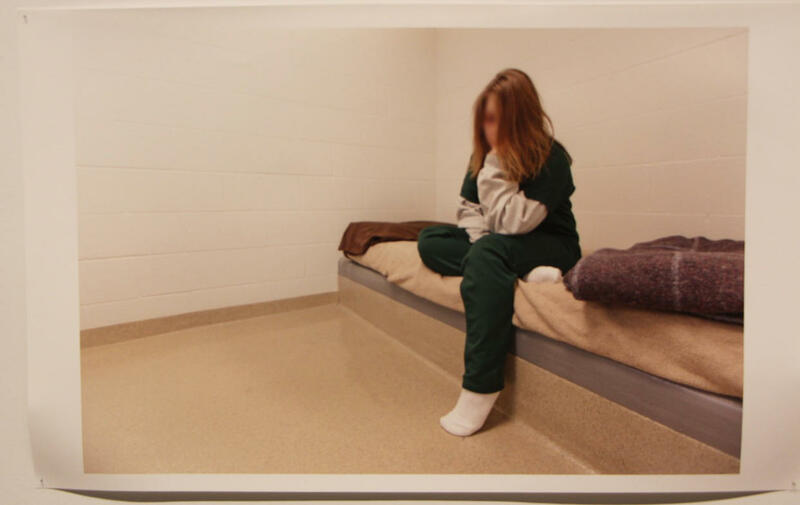 C.T., age 15 at the Southwest Idaho Juvenile Detention Center. 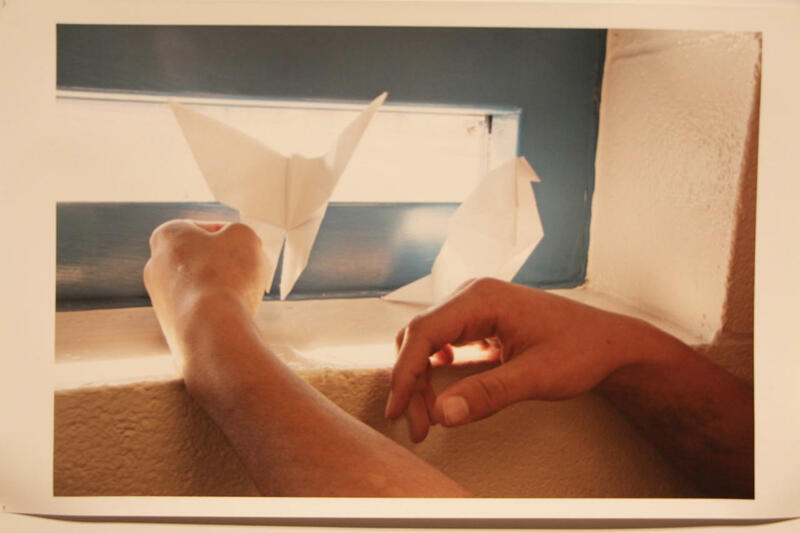 Juvenile in Justice is at WSU's Ulrich Museum of Art until Sunday, April 13. This story originally aired on Morning Edition on Feb. 28, 2014. 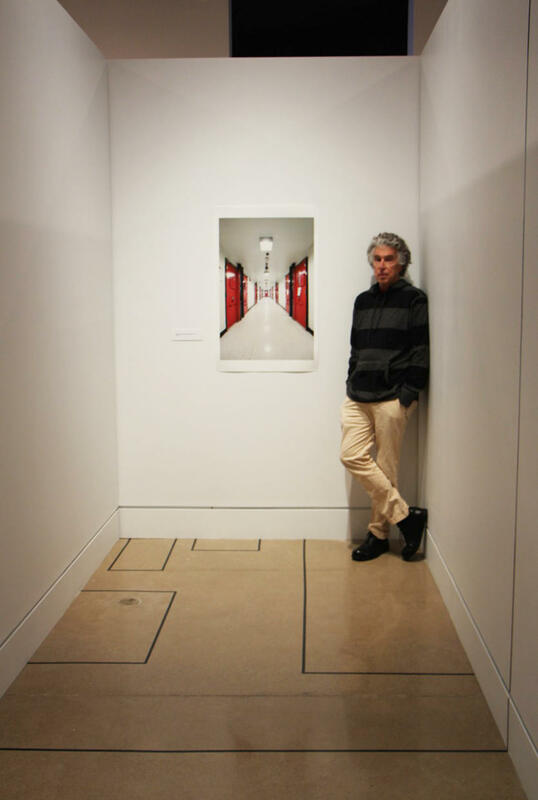 The Ulrich Museum’s exhibition Juvenile in Justice presents the award–winning work of photographer Richard Ross. The preliminary results of a statewide assessment on the overrepresentation of minority youth in Kansas’ juvenile justice system will be presented at a community forum next week. The forum is an event to solicit community input and present research findings from a study commissioned by the state of Kansas on disproportionate minority contact- or DMC. DMC occurs when minority youth come into contact with the juvenile justice system at a higher rate than their white counterparts. A recent audit uncovered mismanagement and safety problems at the Kansas Juvenile Correctional Complex in Topeka. The Legislative Division of Post Audit compiled the report on the facility, which houses around 250 juveniles. Auditor Scott Frank says this report was unique, because cameras at the facility aided the investigation. He says the cameras allowed them to confirm assaults or other issues, and it can sometimes be difficult to confirm claims made during an audit investigation.